This year’s national commemoration of the 87th birthday of the Rev. 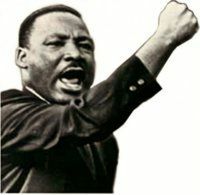 Dr. Martin Luther King Jr. comes during a period of renewal in the anti-racist movement. King was born on Jan. 15, 1929, in Atlanta. The annual official commemoration of his birthday always falls on the third Monday of the month. Since 1986, the date has been designated as a federal holiday. However, almost no information is transmitted by the corporate media, the educational system or through numerous organizations that hold events in honor of the holiday that speaks directly about the work that the Civil Rights and anti-war leader was involved in. These official channels almost never mention that King was arrested more than 30 times, nor that toward the end of his life he became a staunch opponent of the United States military invasion and occupation of Vietnam. Neither is there any recognition of his desire to eradicate poverty in the U.S. or the call for a guaranteed income as well as mandatory full employment. Three major campaigns of the Southern Christian Leadership Conference, co-founded by King in 1957, during the final two years of his life (1966-68), have tremendous bearing on the task facing African Americans, the working class and the progressive movement in general today. These efforts center around the SCLC’s intervention in the Chicago Freedom Movement of 1966 demanding open housing; linkage of the struggle for Civil Rights with the demand for unilateral withdrawal from Vietnam; and support for striking African-American sanitation workers in Memphis, who were fighting for recognition as a union against the racist city administration of Mayor Henry Loeb. 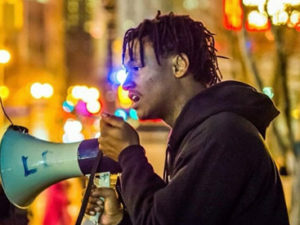 Since the police killing of Michael Brown in Ferguson, Mo., on Aug. 9, 2014, much media focus has rightly been on the rash of police killings of African Americans in cities, suburbs and small towns across the United States. These killings exploded the myth gaining currency within certain political circles that the U.S. had become a “post-racial” society. The vigilante murder of Trayvon Martin in Sanford, Fla., in early 2012 and the subsequent acquittal of his assailant in 2013 had already re-awakened the consciousness of oppressed and anti-racist youth around the country. Even though President Barack Obama has been elected twice as the first White House occupant of African descent, race relations and the social plight of African Americans had worsened under his tenure. Census data and a series of reports looking at the correlations between poverty and race illustrate clearly that national and class oppression is intensifying during the current period of capitalist downturn and restructuring. African-American students as well. 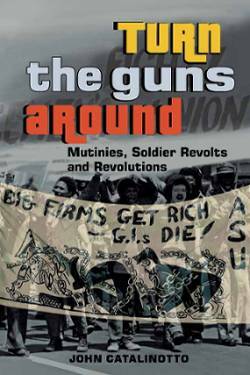 These demonstrations during the fall of 2015 began on some of the most elite higher educational institutions and were led by those African Americans whom the ruling class had considered privileged and destined to find a secure position in bourgeois society. Within the purported “color-blind” social context, schools and buildings named after slave owners and ideological racists had remained unchallenged. The dreaded Confederate flag was still flying on state Capitol buildings and public locations 150 years after the conclusion of the Civil War in 1865, which ostensibly ended legalized enslavement of 4 million Africans. These realities were further magnified when Dylan Roof massacred nine African Americans in Charleston, S.C., on June 17 last year at one of the most historic places of worship, the Mother Emanuel African Methodist Episcopal Church. This church dates back to the antebellum period in one of the most concentrated slave production states in the U.S. Nevertheless, despite mass demonstrations and three significant rebellions in Ferguson and later Baltimore in 2015, the federal government has taken no effective action to redress the worsening situation, regarding either police racism or the overall economy. The administration claims that the financial crisis of 2008 has been corrected and that the jobless rate stands at only 5 percent. Yet the labor participation rate is at its lowest level in four decades, and African-American poverty is rising as a direct result of the Great Recession of 2008. This downturn is testament to the failure of the current Democratic White House. The campaign of presidential aspirant Hillary Clinton has not proposed any legislative or executive programs to improve the social conditions of African Americans. This vacuum leaves the political landscape open for left forces to articulate and organize around a program that speaks directly to the status of the oppressed and workers in the U.S. Some 50 years ago, Dr. King and the SCLC moved into Chicago to join the Freedom Movement in that urban area. The African-American masses in Chicago exploded in anger after Democratic Mayor Richard Daley refused to seriously consider demands for the abolition of slums and a policy of open housing. The SCLC, in alliance with local organizations, exposed the hypocrisy of Democratic Party-controlled political machines such as that of Daley in Chicago, which provided lip service to Civil Rights but practiced segregation and therefore facilitated super-exploitation. The Chicago campaign, coming in the aftermath of the Watts Rebellion of August 1965, prompted the escalation of tensions between the Chicago authorities and the African-American community. This led to mass demonstrations against racism and a full-blown rebellion on the West Side in late July of 1966. Rebellions had erupted in numerous cities in 1966, including Cleveland and Omaha, Neb. Chicago’s would prove to be the most violent and disruptive. Instead of granting the demands of the Chicago Freedom Movement in totality, the ruling class blamed King and the other organizations for inciting the rebellions. There are profound lessons from the Chicago Freedom Movement and the plight of cities today as relates to the housing question, police brutality, political and economic power. Although the housing question in 2016 takes on a different character than in 1966, it is still a pressing concern for oppressed and working people. 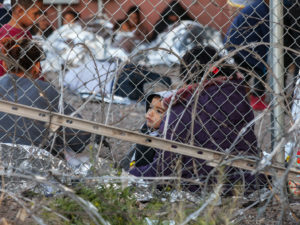 Millions were driven from their homes during the Great Recession, while the administrations of both President George W. Bush and Obama did nothing to alleviate the suffering of the people. In 1966 de facto segregation was prevalent in cities like Chicago, Cleveland, Detroit, Los Angeles, New York and many other municipalities. Five decades later the marginalization and oppression of African Americans through the denial of jobs, decent wages, quality education, access to water and utility services, environmental justice and affordable housing represent the continuation of institutional racism well into the 21st century. It will take an even more revolutionary movement than that which emerged during the 1950s and 1960s to complete the struggle for absolute equality and national liberation. These efforts, like King’s in 1967-68, must bring together progressive elements from all the oppressed nations in alliance with the workers and the poor. Ultimately socialism must become the rallying cry of the majority of the people in capitalist society. 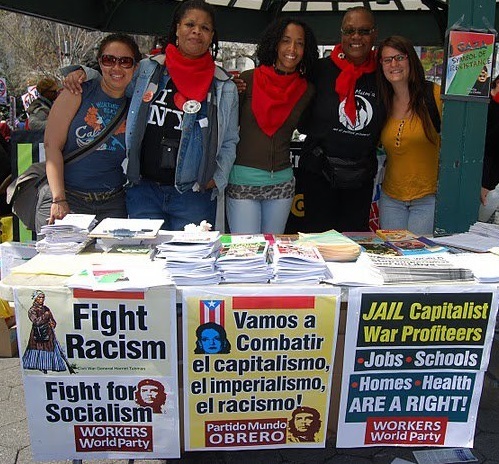 A genuine anti-capitalist movement that will upend private property and all exploitative relations of production is the only solution to the current crisis in the U.S. and globally.